A 15,000 square foot LiveRoof® green roof on the newly opened Korematsu Middle School is reducing the school’s environmental footprint, providing a living model of sustainability best practices, reducing energy costs, and improving air quality. 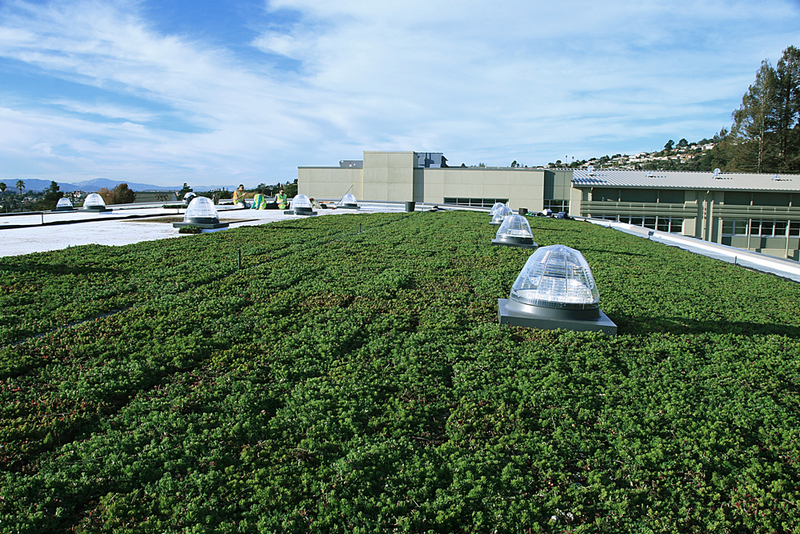 This project is also LiveRoof brand’s largest green roof installation in California to date. Korematsu Middle School, part of the West Contra Costa Unified School District (WCCUSD), welcomed students and staff to its new campus, located at 7125 Donal Drive in El Cerrito, on March 28. The school’s three green roofs are designed to save the district operating expenses by lowering heating/cooling costs as much as 14 percent, extending the life of the roof, and reducing the urban heat island effect. Green roofs also help reduce noise pollution by lowering interior sound levels by as much as 40 decibels, and offer fire protection, following local fire codes designed to protect students and staff. 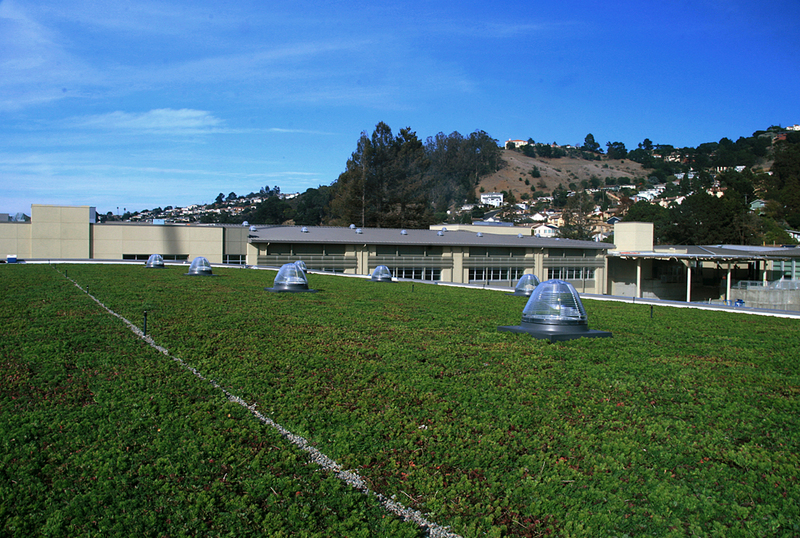 As students inside Korematsu Middle School prepare for the future, these living roofs are helping to create a healthy future as well. The new green roofs will provide additional insulation for the new school, resulting in lower costs to heat and cool the building. 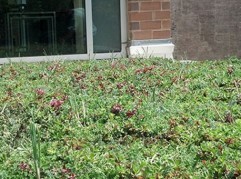 Green roofs also provide natural water as rainwater is returned to the environment through evaporation. At the same time, the drought-tolerant plants filter the rainwater and capture air pollutants creating a cleaner, healthier environment. Green roofs can also sustain a great variety of plants, insects, and birds, linking them together for improved ecosystem efficiency. “The conversion of Korematsu Middle School from an elementary school to a middle school campus required thoughtful design coupled with the Collaborative for High Performance Schools (CHPS) standards. The WCCUSD Board of Education had Korematsu built with the CHPS standards because kids learn better in schools with good lighting, clean air, and comfortable classrooms,” said Keith Holtslander, Director of Facilities and. Construction for WCCUSD. FloraSource Ltd., the California LiveRoof sales representative, worked in tandem with Meadowland Nurseries LLC, the northern California LiveRoof Grower based in Watsonville, to deliver a custom-mix of drought-tolerant sedum plants for the new green roofs at Korematsu Middle School. 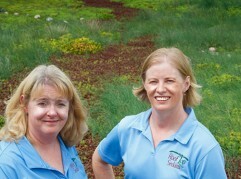 The three separate green roofs were fully-grown upon installation, providing immediate function, benefit and beauty. 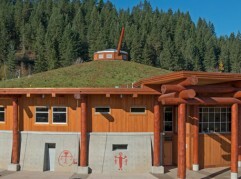 Green Growth Industries, of Pleasanton, CA, installed the green roof at Korematsu Middle School. Hibser-Yamauchi Architects is the architect of record, recently earning a Bronze Award for Design for its work at Korematsu. 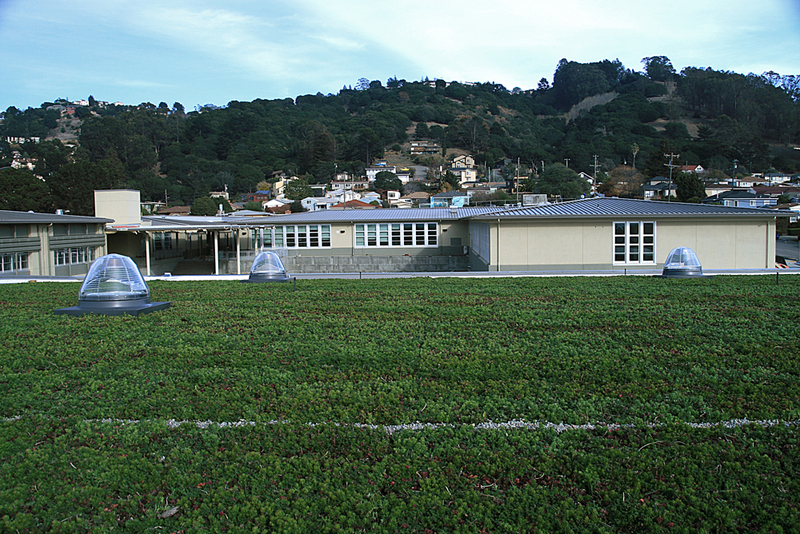 The new LiveRoof® green roof at Korematsu Middle School is a patented, subterranean modular system that unites soil and plants creating a beautiful, meadow-like aesthetic. This green roof is cost effective, providing operational and maintenance cost savings from increased roof life, and reduced energy use. The living roof will also reduce noise, protect air quality and provide natural beauty. × Improves air filtration; one square foot of green roof foliage can filter seven ounces of dust and smog per year. Plant photosynthesis also reduces greenhouse gases in the air. × Lowers interior sound levels by as much as 40 decibels. × Reduces energy costs; improved thermal insulation and reduced heat island effect provide heating and cooling savings. × Reduces stormwater runoff by 65-90 percent in the summer and 25-40 percent during winter months. × Increases roof life; soil and plants provide a protective barrier reducing exposure to ultraviolet rays and extreme temperatures, along with a waterproof roof lining, to extend roof life by as much as 200-300 percent, or 40-50 years.